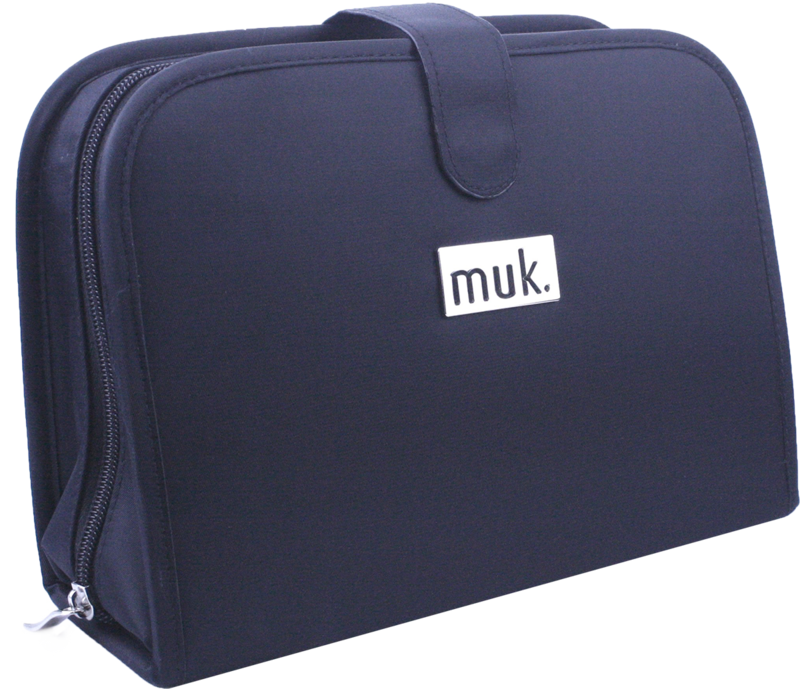 Heat resistant travel and storage case features separate compartments to securely store up to 6 barrels and your curl stick handle. Comes complete with a heatproof mat. 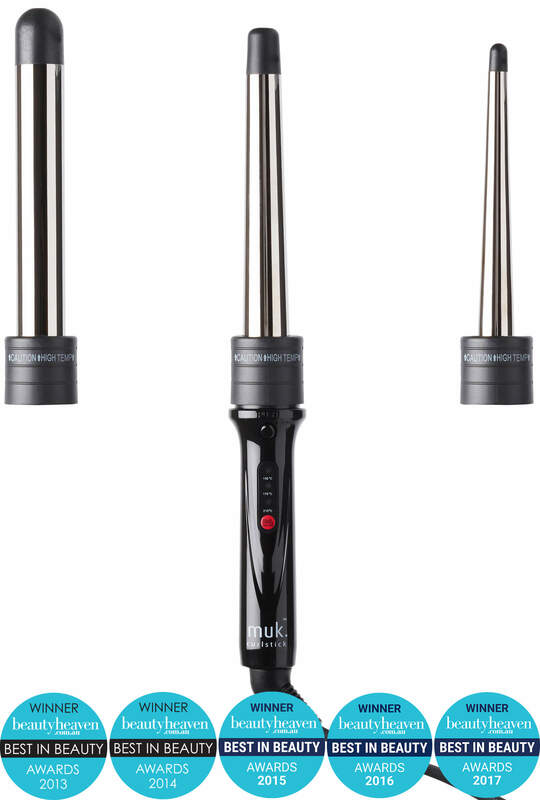 The muk Curl Stick Collection includes six barrels to create the desired curl you want, anytime, whatever your hair type. 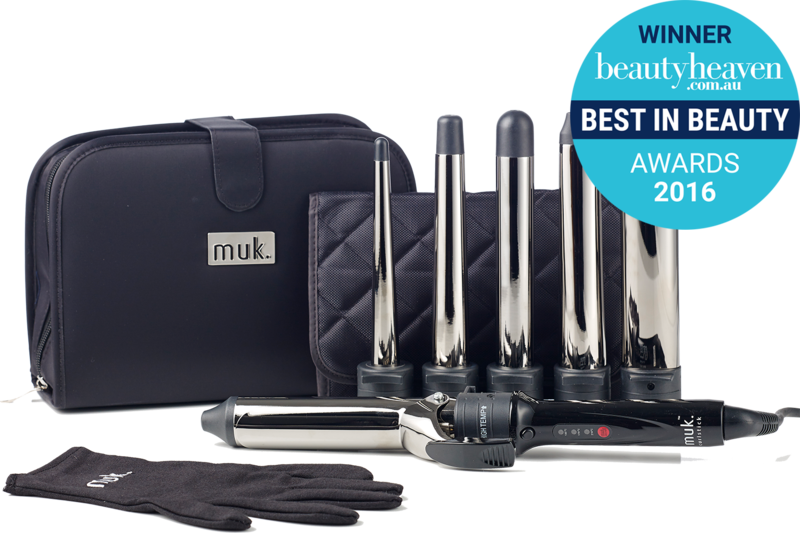 From bouncy curls, to soft waves and deep luscious waves, the muk Curl Stick collection has it covered! 9-19mm conical barrel for tighter, structured curls and spirals. 19-25mm conical barrel for medium curls and movement. 25-25mm straight barrel for soft, flowing, bouncy curls. curl stick base control unit: 3 temperature settings 130°C, 170°C and 210°C. Heat resistant styling glove to help protect hands from heat when styling. 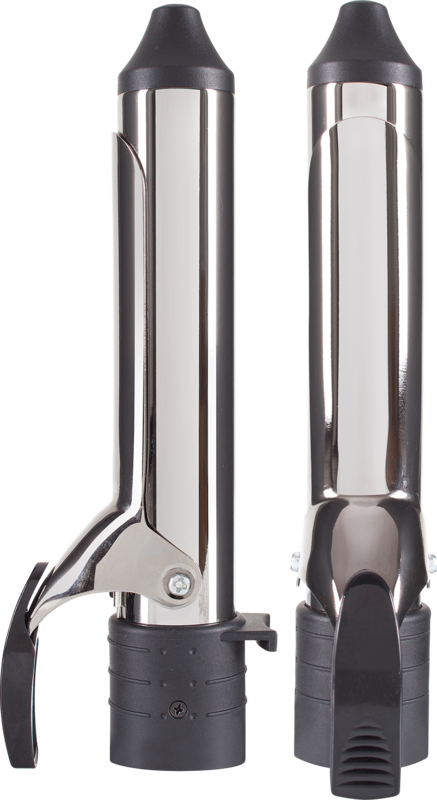 Barrels finished in super smooth titanium. Unique clip free interchangeable barrel system. 3 metre, 360° swivel cord.